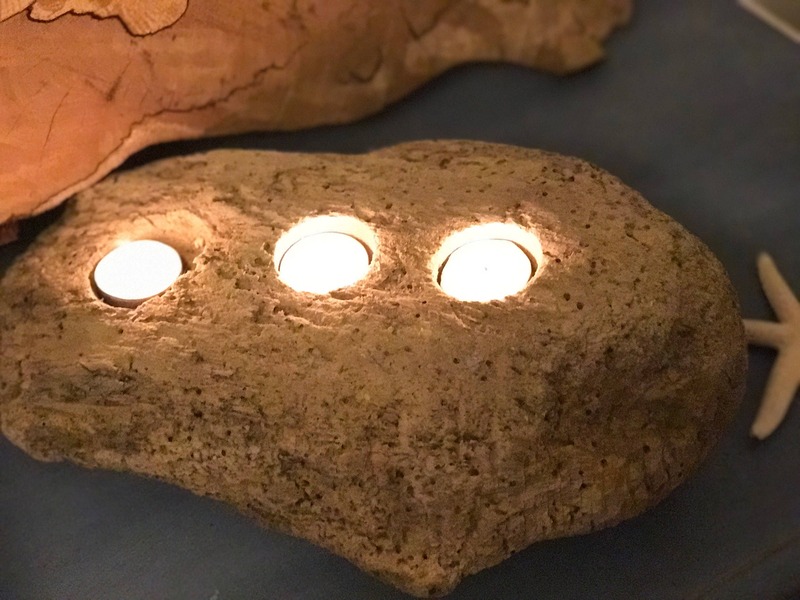 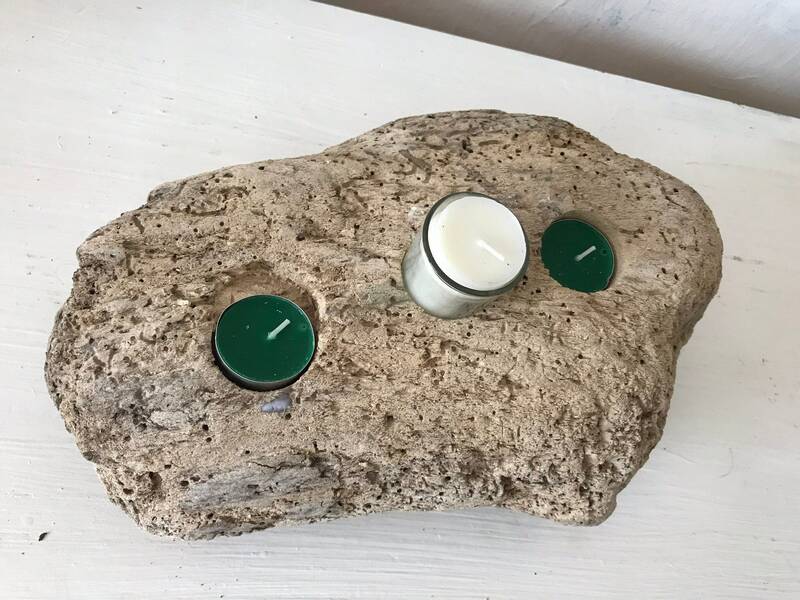 This reclaimed wooden driftwood candle holder with tealights was made as a table centrepiece for indoor outdoor use. 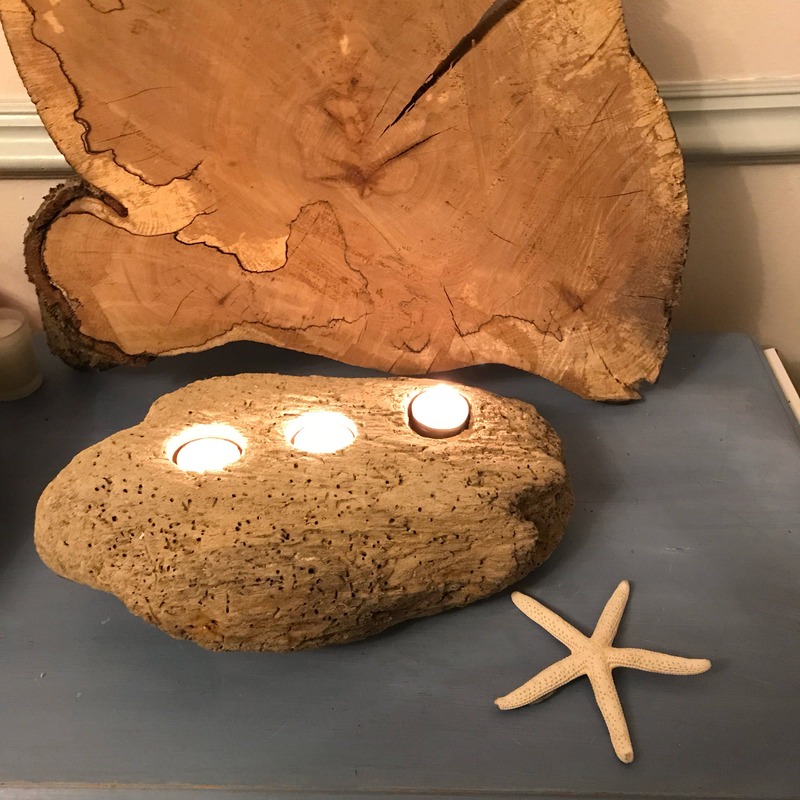 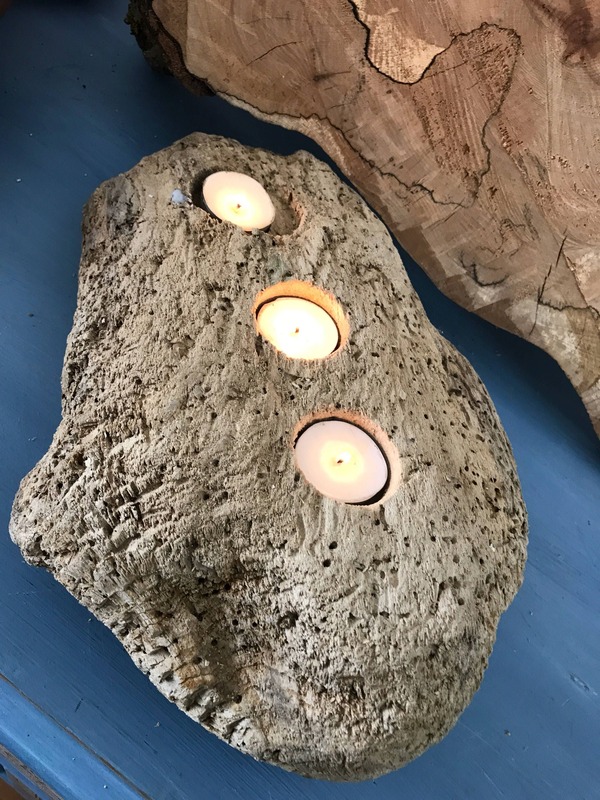 A genuine Scottish Wooden gift, This reclaimed driftwood was picked up from a beach in East Lothian and transformed into a driftwood candleholder . 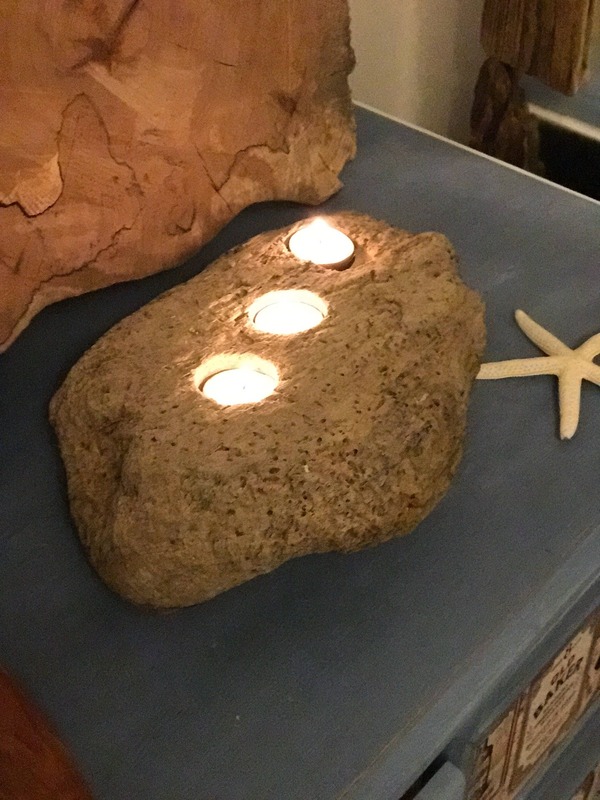 It has a unique, raw finish symbolic of the sea . 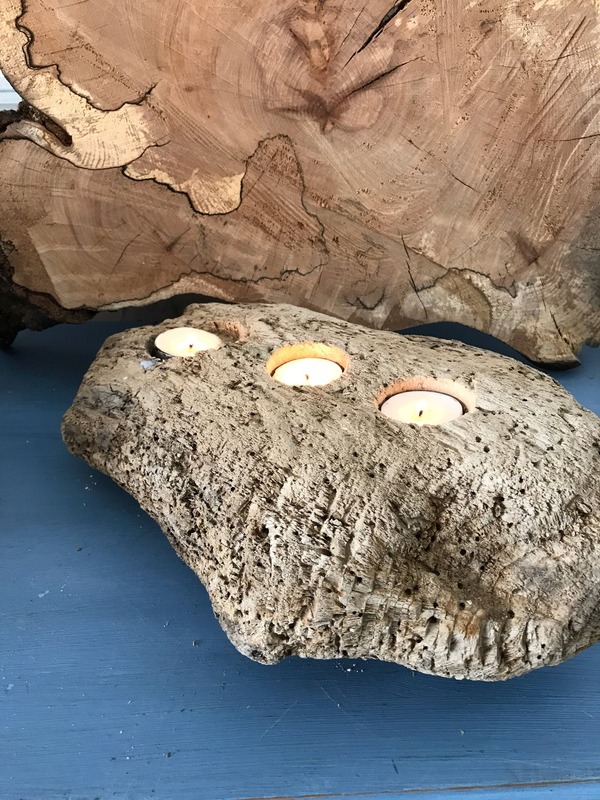 It could be the perfect gift for a wedding, fifth wedding anniversary , a housewarming , Wooden Christmas gift or just a lovely addition to your home . 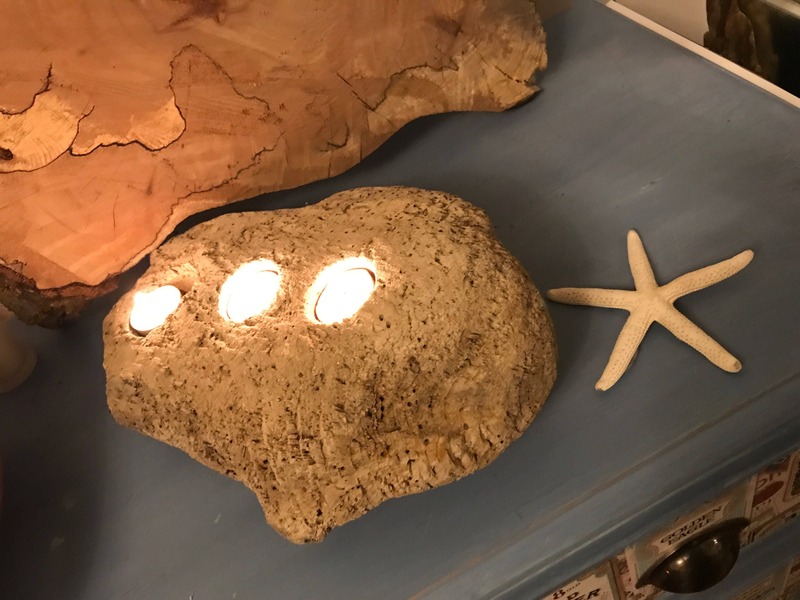 It would be perfect for the person who loves coastal nautical gifts. 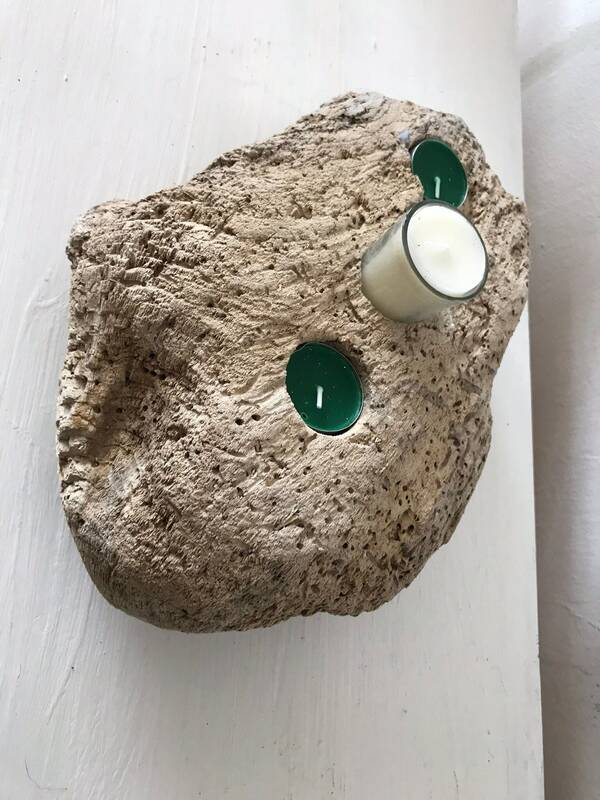 Each round hole is 24 mm wide. 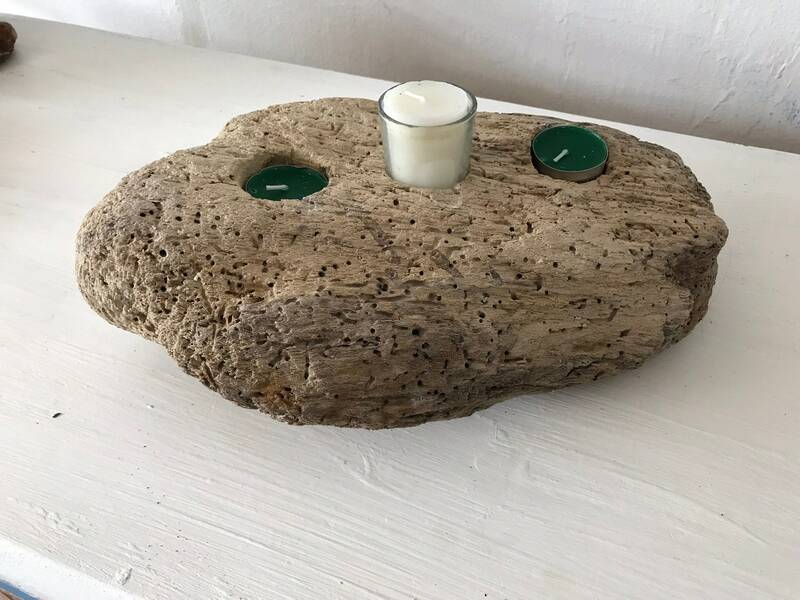 The wood holder is -16 inches Long and approx 8 at its widest point. . 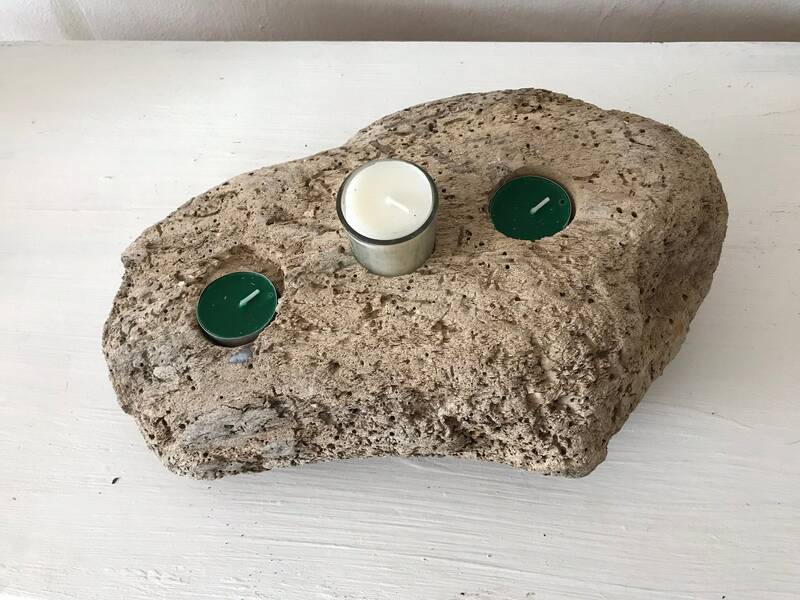 Tea lights are included - and it comes carefully packed and ready for use.